The Syrian government does not intend, and has never planned, to use chemical weapons against rebel forces, Russian Foreign Minister Sergey Lavrov has said, addressing rumors the that the Assad regime is preparing to use its chemical weapons arsenal. 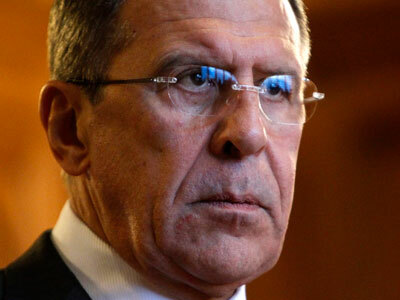 ­The biggest threat surrounding Syria's chemical weapons is their “probable acquisition by militants,” Lavrov said. “According to our information, and this information we pass to our US colleagues, and European colleagues, [the Syrian] government does not have such intentions and cannot have, because this is all very serious,” the minister said on Sunday. Russia took seriously the rumors surrounding Syria's chemical weapons and sought clarity from the Syrian government, and is passing on this information to other nations, Lavrov explained. “It is not the first time when reports, that can be called rumors or leak, suggesting Syrian government moves reserves of chemical weapon from places where it is being storage to different locations and prepares to use it, emerge,” he said. Lavrov’s statement came in response to recent allegations from the US Pentagon and State Department that Syria is preparing to use chemical weapons. The rumors were quickly disseminated in Western media. This week, NBC quoted anonymous US officials' accusations that the Syrian military loaded the deadly nerve gas Sarin into aerial bombs, which could then be dropped on rebels from Mig-23 or Sukhoi-24 aircraft. Another report by ABC News, also quoting unnamed American officials, suggested the bombs have not yet been loaded onto planes. On December 4, NATO foreign ministers approved Ankara’s request for Patriot missiles to be deployed on the Turkey-Syria border. The deployment was requested over fears that Syria could attack its neighbor with missiles and chemical weapons. 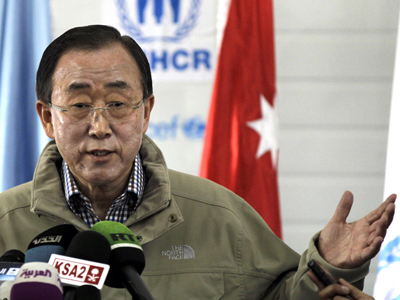 Syria’s chemical weapons stockpile became a topic of international concern this past July. Syria is reportedly in possession of nerve agents, including mustard gas, as well as the Scud missiles needed to deliver them. The country is one of six states that have not signed the Chemical Weapons Convention, which outlaws their production. Lavrov said the US was wrong to see Moscow as softening its position, adding that Russia will not back down from its position on the Syria conflict. "All attempts to portray things differently are unscrupulous, even for diplomats of those countries which are known to try to distort the facts in their favor,” Lavrov said. Earlier on Thursday, Lavrov held informal talks with Clinton and Brahimi.